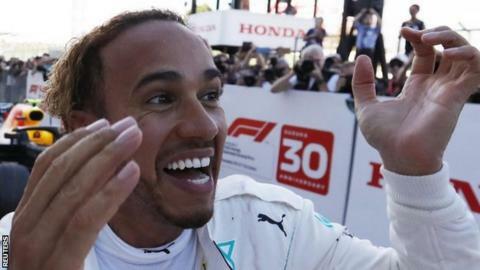 Lewis Hamilton almost has two hands on a fifth Formula 1 world title. After taking the chequered flag at Suzuka with another dominant display, the Mercedes man will seal the championship if he wins in Austin and Ferrari's Sebastian Vettel is lower than second, or if he scores eight more points than the German. Hamilton takes a 67-point cushion with him to the Circuit of the Americas, a track where the Briton has won an impressive five times, including the past four races. The only driver to break his streak is a fellow four-time world champion - Vettel, driving for Red Bull in 2013. Is Hamilton destined to hold the championship trophy aloft in Texas or can Vettel drag himself back into the title fight?